Enes Kanter has joined the Portland Trail Blazers for the rest of the NBA season. The 26-year-old center was released by the New York Knicks after the trade deadline last week and sealed a deal with the Trail Blazers on Wednesday. Kanter posted on Twitter: "I am pleased to announce that I have signed with the Portland Trail Blazers for the remainder of the season. "I look forward to helping the Blazers achieve the ultimate goal of competing for the championship. "Excited to meet my new team-mates, coaches and staff and most importantly the fans. It is a blessing to continue to compete at the highest level! Let's go Rip City." Portland inked Kanter to a four-year, $70 million offer sheet when he was a restricted free agent in July 2015, but the Oklahoma City Thunder kept him after matching the deal. 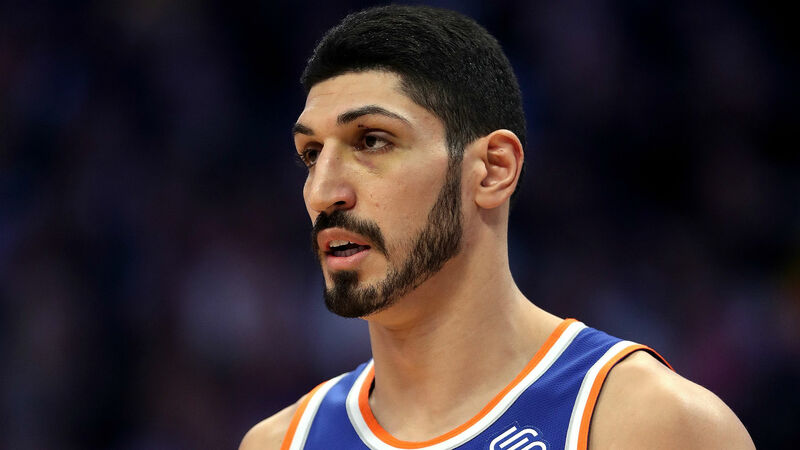 Kanter was then sent to New York as part of the Carmelo Anthony trade in September 2017. He averaged 14.4 points and 10.5 rebounds in 44 games for the Knicks this season before he was waived.